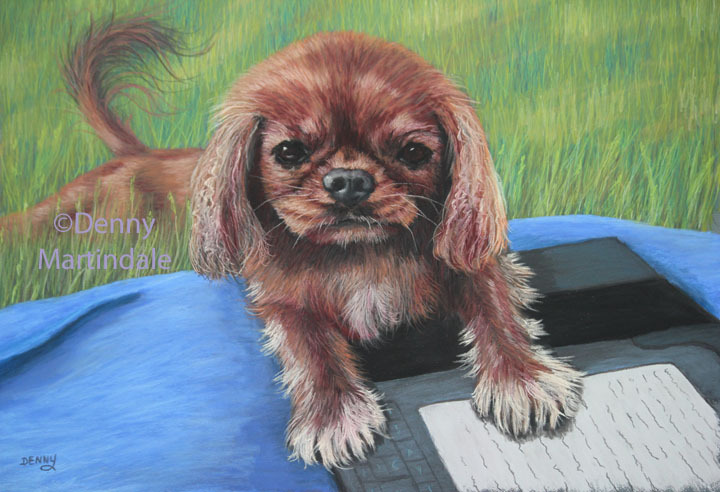 This 12" x 14" pastel pet portrait was a gift from my clients to their daughter and son-in-law. The image is of their King Charles Spaniel, Ruby, while on a picnic. They captured some great candid photos when Ruby decided to take over the iPad. The resulting painting was a wonderful surprise to Ruby's owners!